Commissioned by Brass Band Treize Etoiles for their performance at the 2013 Swiss National, the piece was last year’s top section test at the 37th Dutch Nationals. The title is a reference to Percy Grainger’s popular Handel in the Strand, and is a virtuoso set of symphonic variations based upon one of Handel’s best-known keyboard dances: the Sarabande from his Suite in D minor, HWV 437. Kenneth Downie draws heavily on its La Folia motif and original bass line to create his own variations and spectacular finale. In 1937, the BBC commissioned Benjamin Britten to compose the music for an ambitious dramatisation of the life and times of King Arthur and his Court. In 1995, Paul Hindmarsh prepared a suite for orchestra from Britten’s score and later arranged a second suite for brass band for Foden’s to perform at the 2015 RNCM Festival. Various scenes are grouped into four movements: Overture and Wild Dance, Galahad and the Holy Grail, Lancelot and Arthur, and The Death of Arthur, although for the purpose of the contest, Lancelot and Arthur will not be performed. Firestorm was composed by Stephen Bulla for the tenth anniversary of the United States Army Brass Band and received its first performance on 27 April 1991. Despite the title’s inference, the work’s form is not episodic, but more a depiction of various episodes in the life of the composer, who penned it for his wedding to capture the excitement and majesty of the day. The piece is in three movements: Fanfare and Bells of Celebration, Solenne (dedicated to the late Shaun Thomas), and Finale, which starts with a wake-up call, followed by a fanfare for cornets and trombones. Especially published for the National Championships of Great Britain in 1989, this work is cast in three movements: Festival, Romance and March. 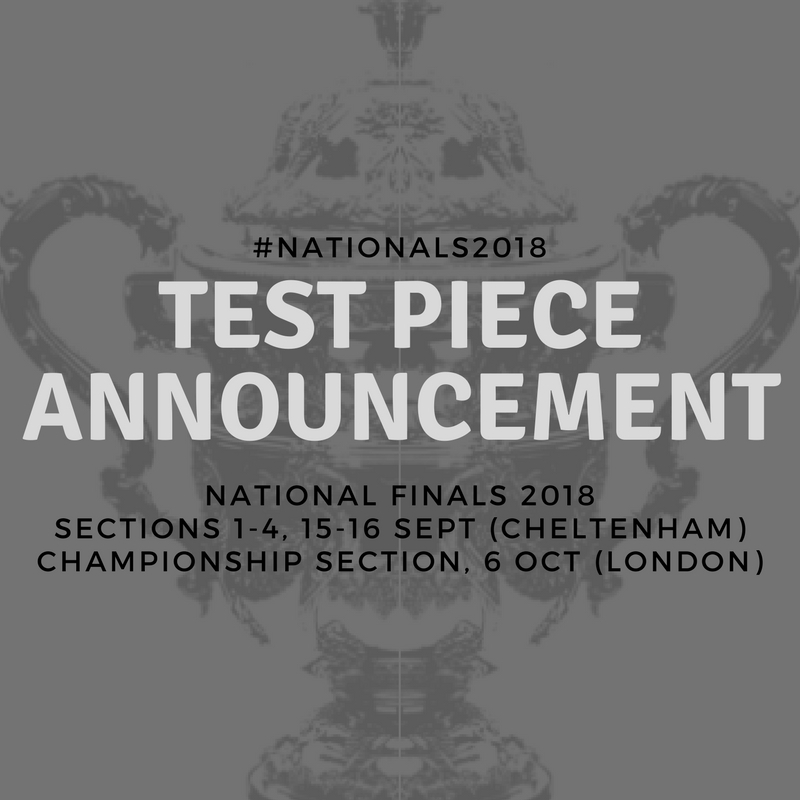 A popular and engaging work at this level, it is no stranger to the contest platform, having been used as the Section 3 ‘Regional’ test-piece in 1990, and the third tier of the Dutch and Australian Championships in 1995 and 1996 respectively.